EXCLUSIVE! 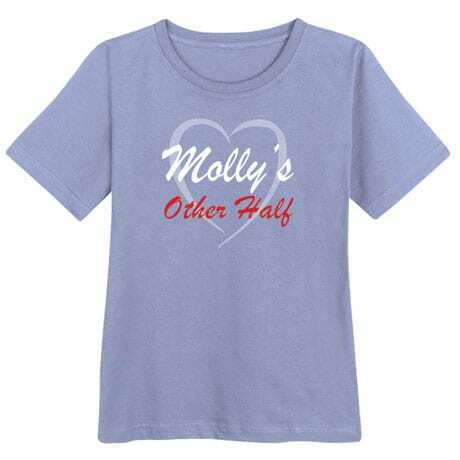 Yes, she's probably the "better" half, but at least you get to be the "other half." 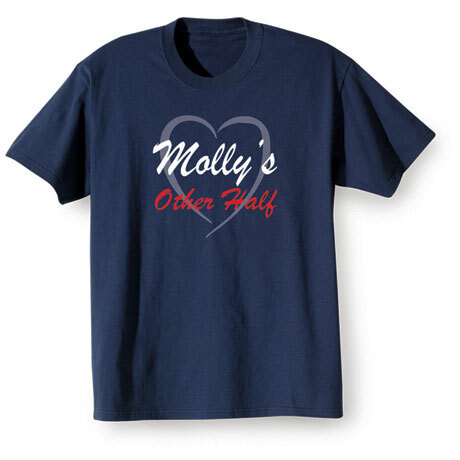 Show her you care by putting her name on this customizable shirt. 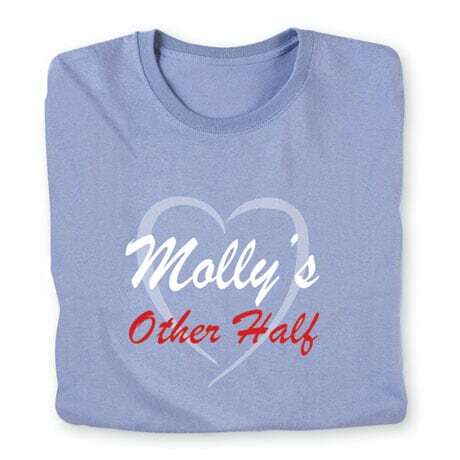 For a hilarious photo, wear it and the "Better Half" shirt side-by-side! 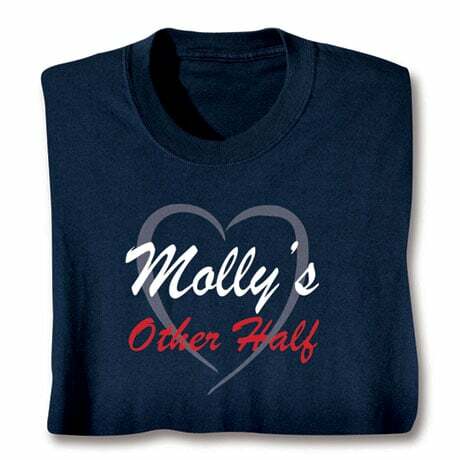 T-shirts are made from soft, 100% cotton, sweatshirts are a 50-50 cotton/poly blend. Imported shirts. Printing in the USA. Machine wash. S-3XL. Lilac or Navy color.